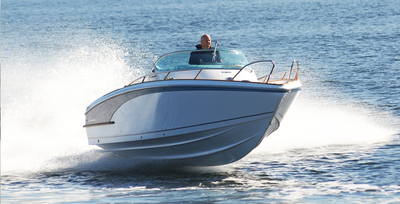 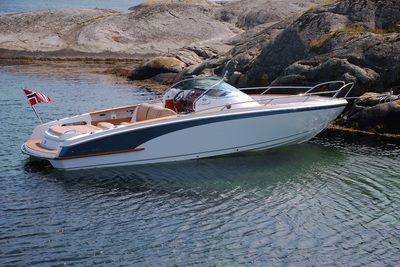 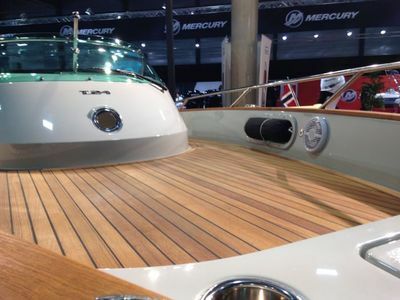 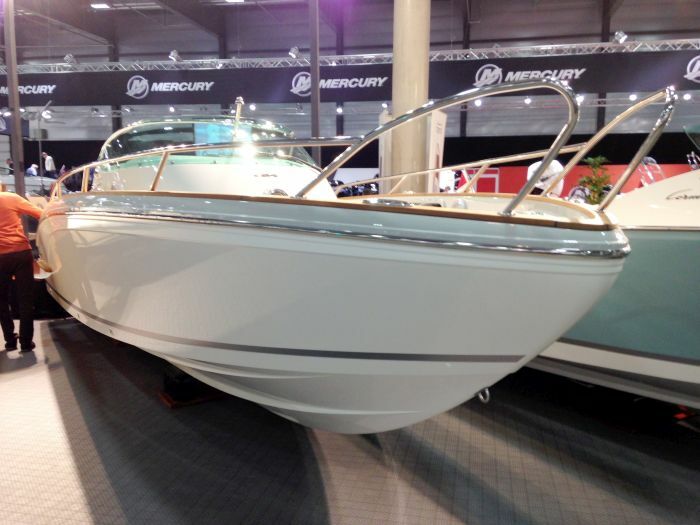 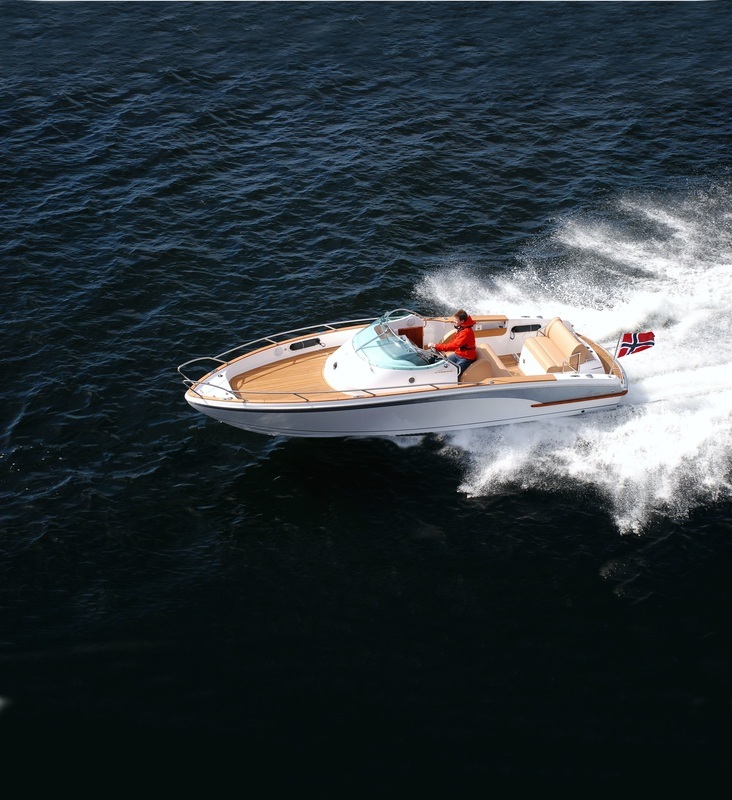 A Norwegian designed, quality boat with unusually high finish and great details. 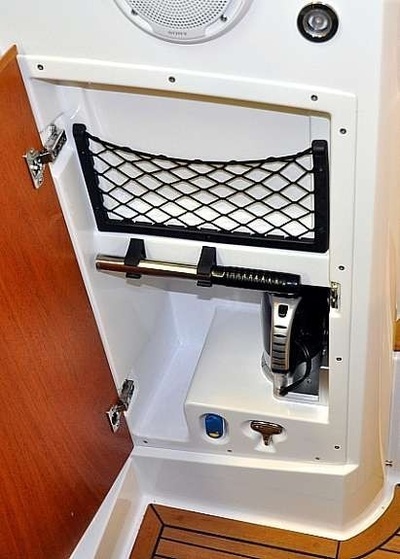 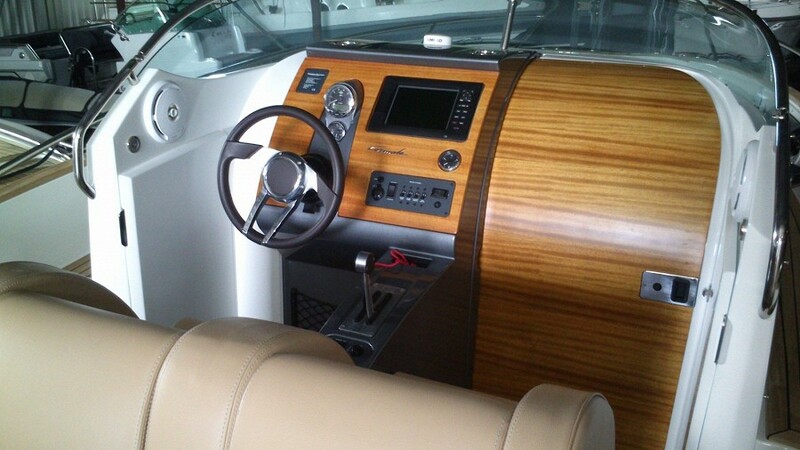 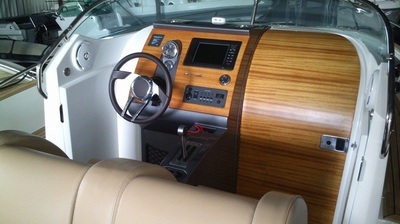 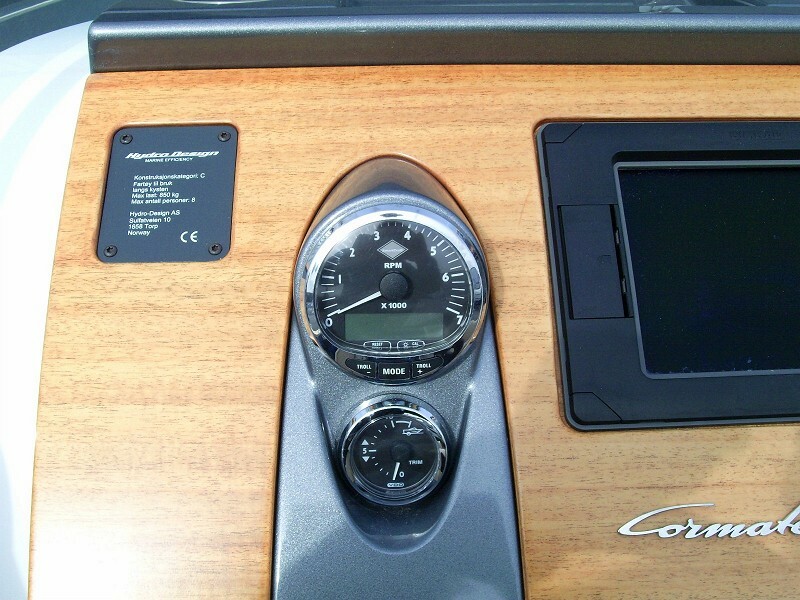 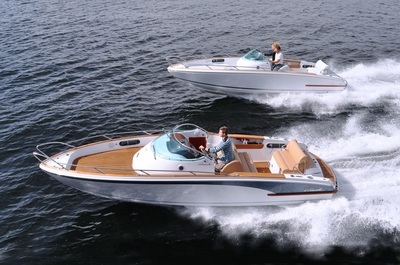 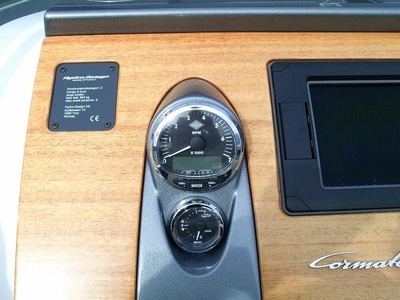 T-24 combines the usability of a center console deck arrangement with the comfort of a day cruiser. 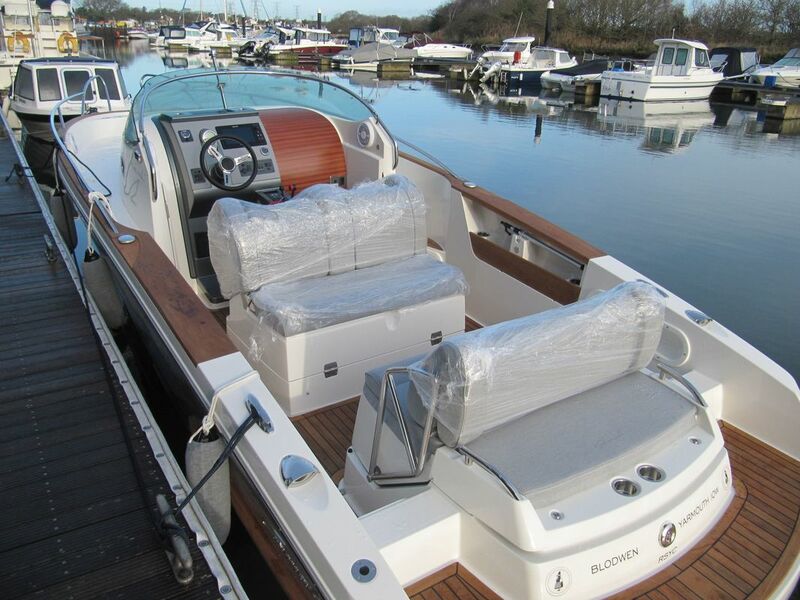 The open and userfriendly lay out gives easy access to all of the boats outside area, it also includes four integrated fenders for easy one-movement fendering when mooring. 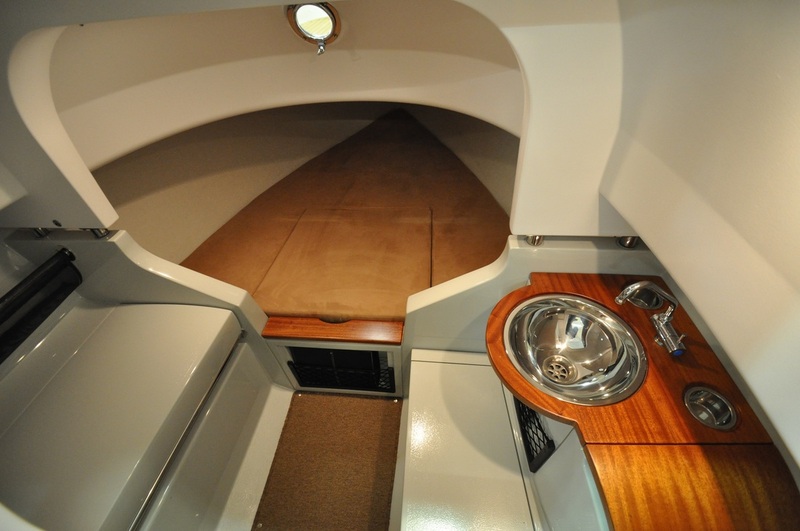 T-24 has a sheltered sunbathing area in the bow and an elegant sun bed/activity platform aft. 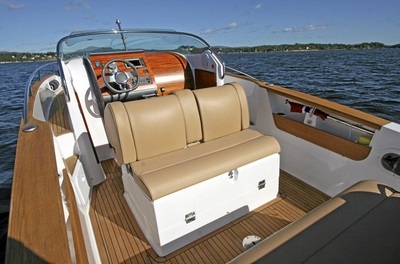 The rear seat backrest can be easily adjusted in various positions to be used as a seat, deckchair or a lounger. 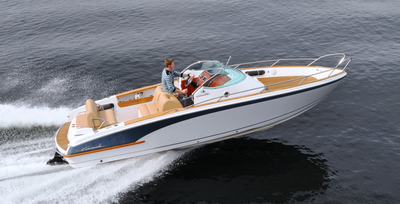 T-24 can be supplied in a variety of colors, engines and equipment combinations, tailored for each customer. 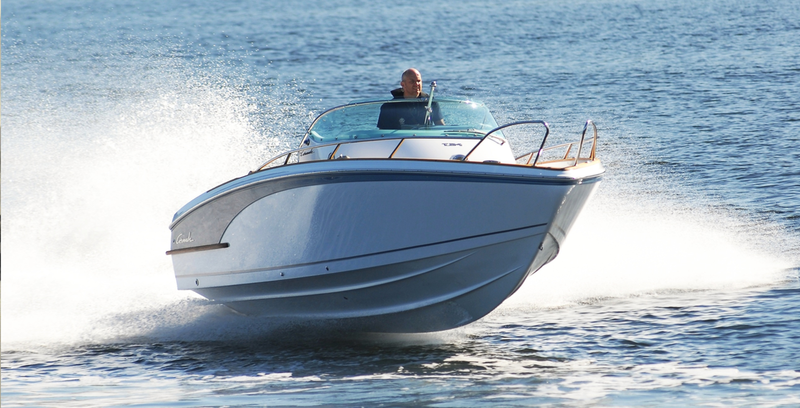 Despite its elegant lines, T-24 is made for rough use. Extensive use of sandwich panels and quality materials provide high rigidity and low weight. 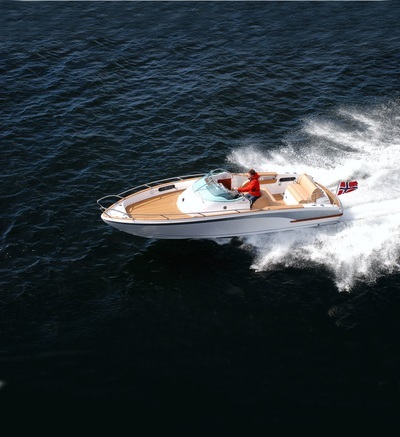 In combination with a sophisticated hull construction the T-24 has very low fuel consumption for its size (from 0.80 l/nm in plane with diesel engine). The Supersport edition with 350 hp High Output engine has a top speed of 54 knots. 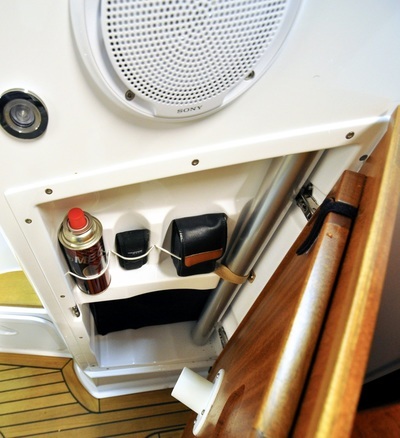 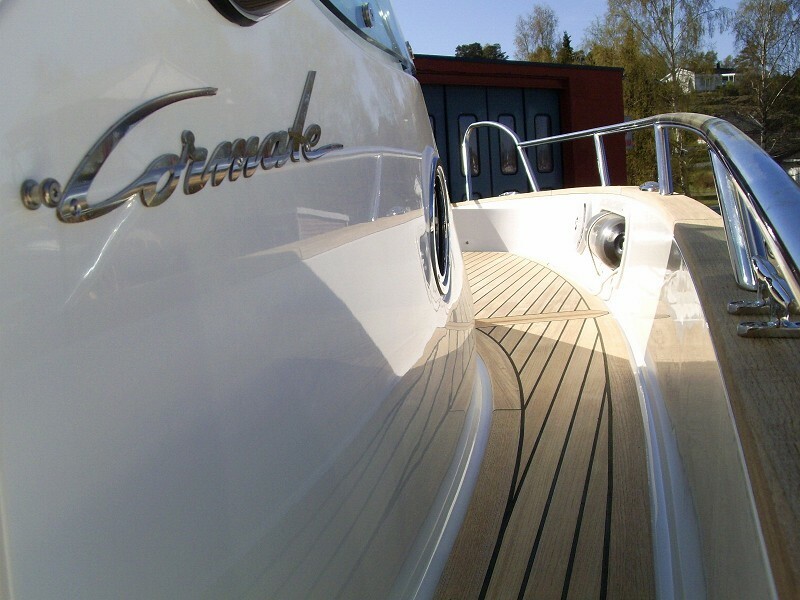 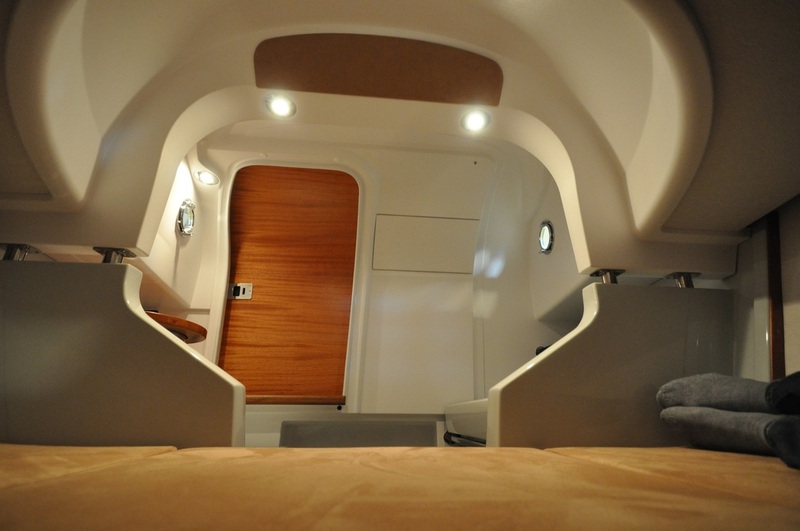 Cormate boats have a specially designed "setback step" in the transom. 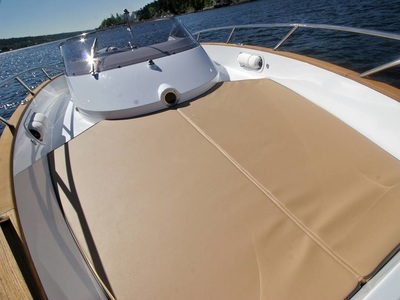 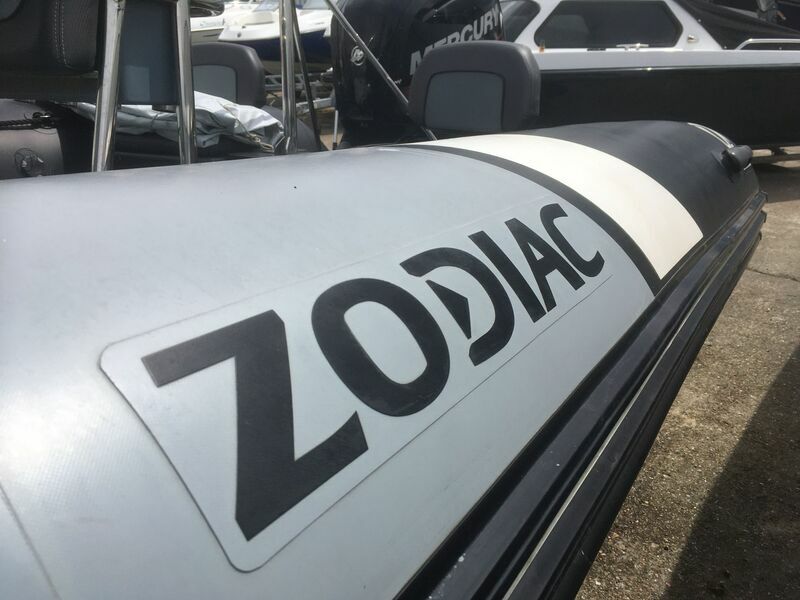 This provides greater trim-torque and gives the driver the opportunity to change the boats trim angle for different speeds and sea conditions. 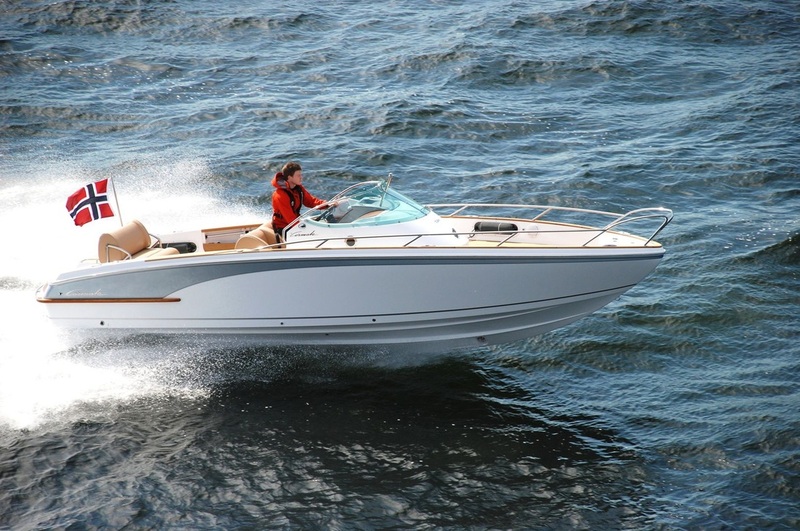 You simply get greater control over the boats sea keeping capacity and performance. Cormate racing genes and the advanced hull with full 25 degree dead rise, ensure excellent seaworthiness. 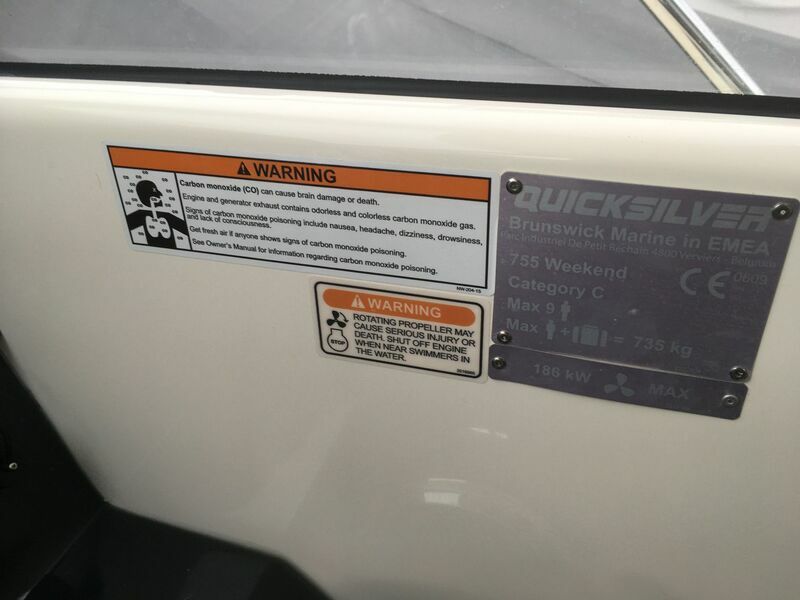 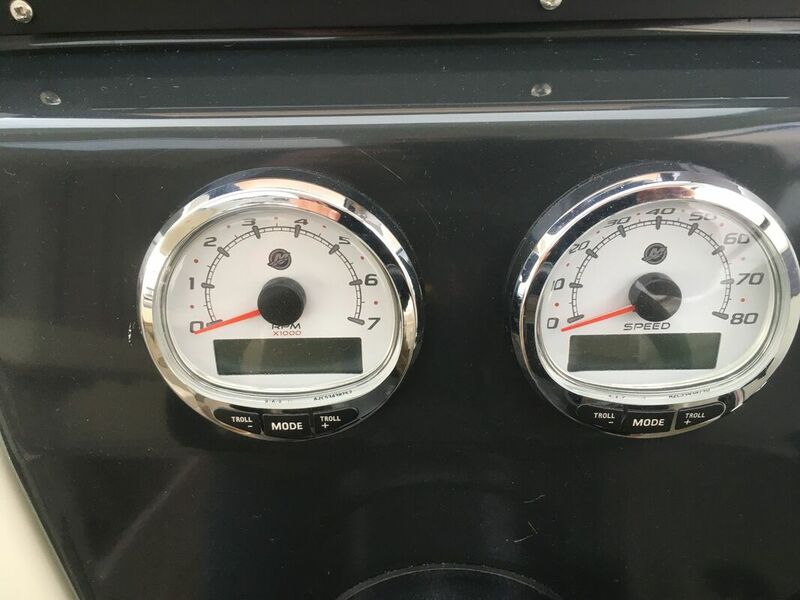 Yet it is the unique driving pleasure that will surprise you the most.